Some might be tempted to call The Jayhawks’ frontman Gary Louris an under-appreciated genius. 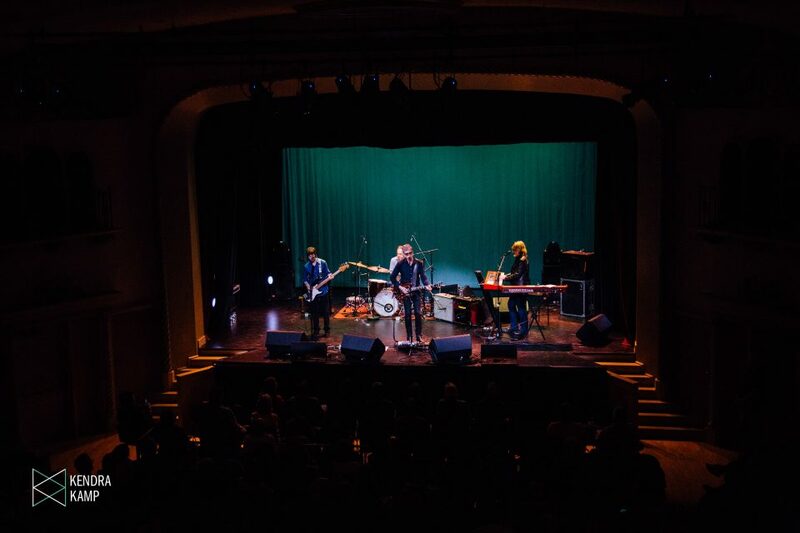 And judging by the masterful affair the band unfurled Friday night at a sold-out Wealthy Theatre, they’d be right. Touring behind The Jayhawks’ latest album, “Paging Mr. Proust,” the entire band – Louris, bassist Marc Perlman, drummer Tim O’Reagan and keyboard player Karen Grotberg – more than proved its mettle as one of the heartland’s true musical treasures, a genre-melding alt-country/indie-rock outfit that could qualify as a “best-kept secret” if not for the vocal pockets of diehard fans around the country who’ve long revered the group’s magical aura. 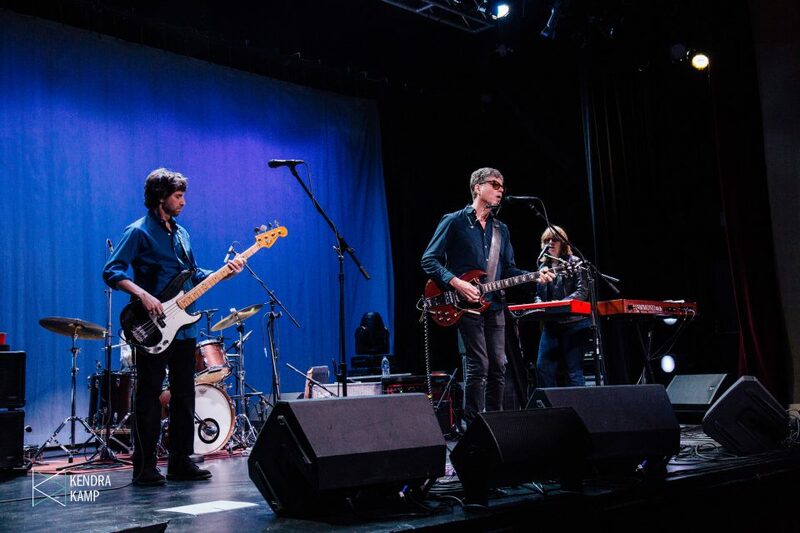 That the Minneapolis-bred band born in the mid-1980s captivated a crowd of 400 rather than 4,000 in Grand Rapids might seem a shame, except that those on hand in the historic venue witnessed one of those singularly intimate and inspiring events that will long remain etched in their memory banks. 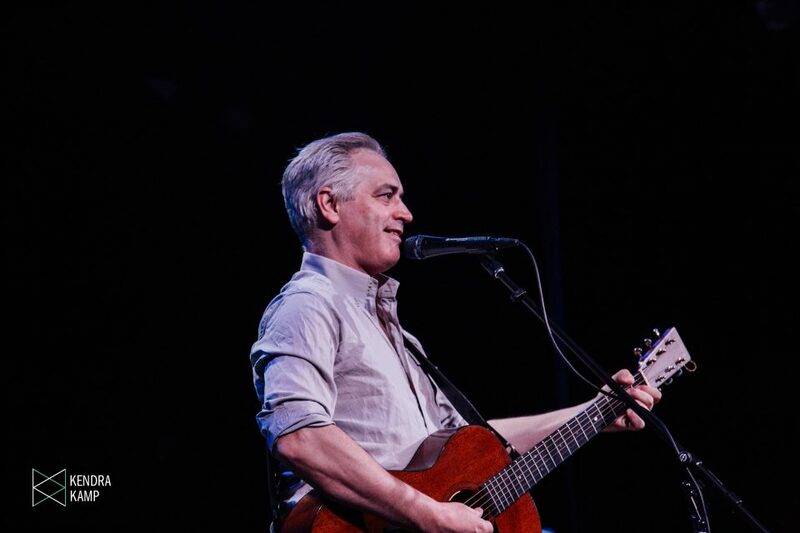 It all began with a refreshingly entertaining and often humorous solo set by English-born folk-pop artist Wesley Stace, who frequently records and performs as John Wesley Harding (indeed, his new album it titled, “Wesley Stace’s John Wesley Harding”). The novelist and singer is nothing if not witty, meshing pop hooks with incisive lyrics, and at one point, he even uncorked a biting, funny stab at President Trump. 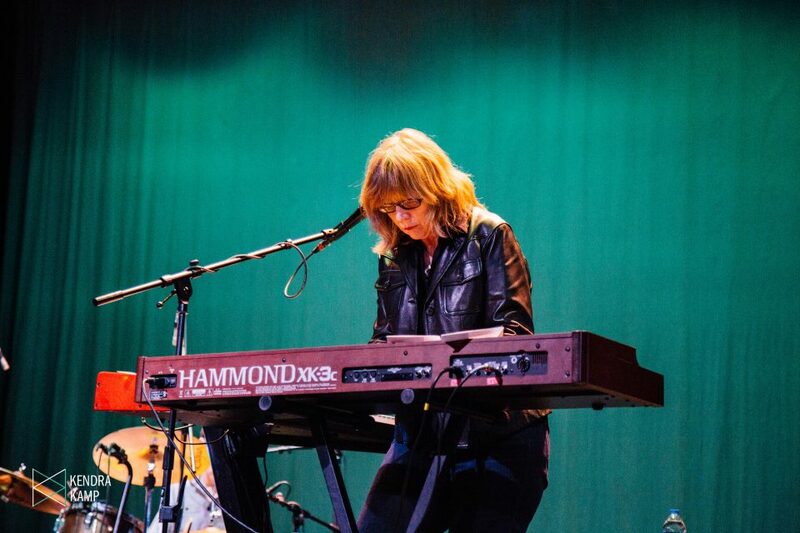 While much of the band’s latest album is contemplative and about slowing down – a “statement against the world today,” Louris told WYCE-FM (88.1) earlier in the day – all of The Jayhawks material takes on an alluring, heart-rending glow in a live setting, powered by Louris’ extraordinary voice and the band’s commanding harmonies. 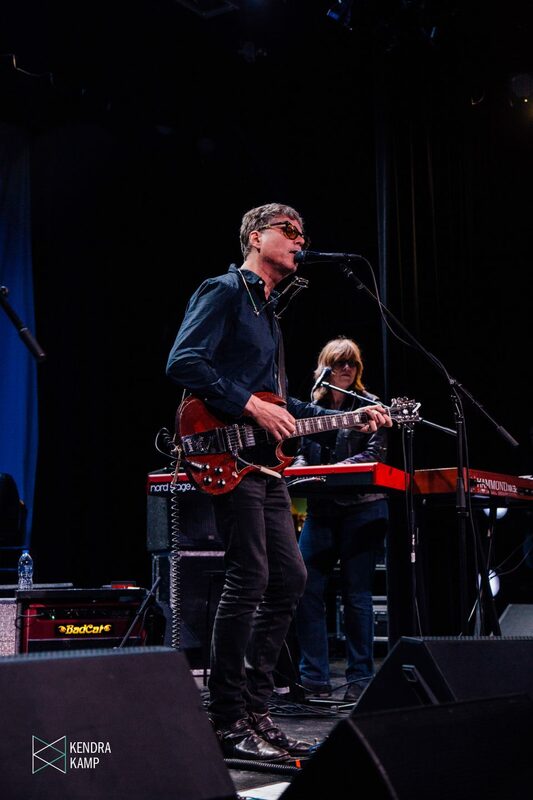 The Jayhawks are also one of the few bands that can sound oh-so alt-country at one moment then launch into psychedelic, Beatles-like chord progressions the next and make it all sound seamless. 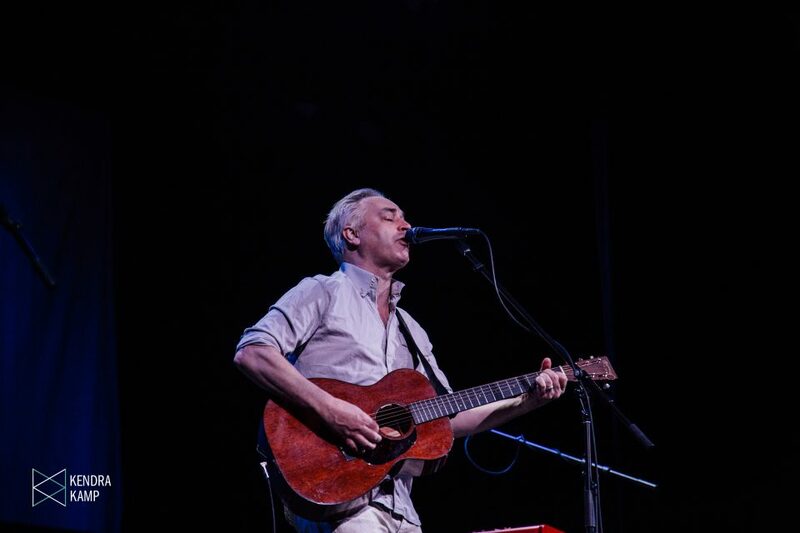 But it’s Louris’ songwriting and song arrangements that leave audiences marveling at the end of the night, with Grand Rapids producer, guitarist and longtime fan Tommy Schichtel even proclaiming that he’s one of the few artists who can make him cry with his music and singing. 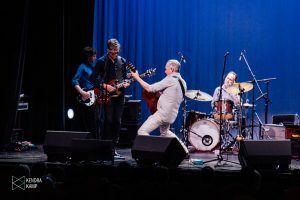 If so, those tear-triggering moments were in abundant supply Friday, with The Jayhawks’ rendition of “Waiting for the Sun” a soaring highlight of the evening – a song that meshes impeccable songcraft, sinewy guitar tones and powerful vocals. 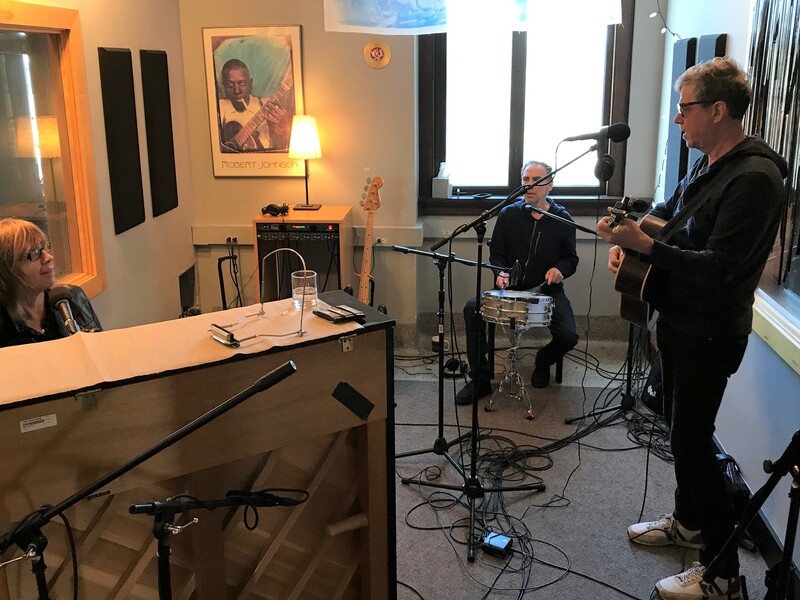 In truth, the band has so many fetching songs – from “Tailspin” to “Save it for a Rainy Day” – that one imagines they could make folks cry all night long. Earlier in the day, Louris called The Jayhawks current U.S. jaunt an “in-between tour” that’s been hitting a number of smaller venues, including The Ark in Ann Arbor on Saturday night. 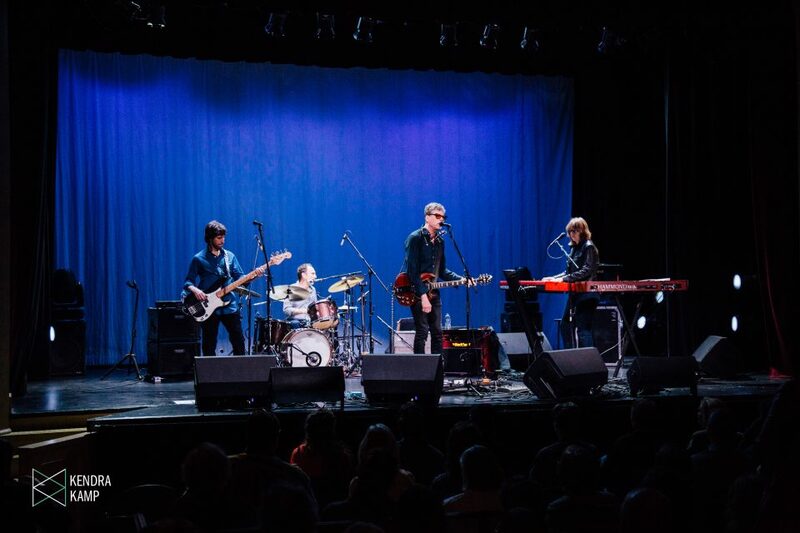 “The perception of The Jayhawks is bigger than the reality,” Louris had quipped during his WYCE interview, referring to the band’s popularity. 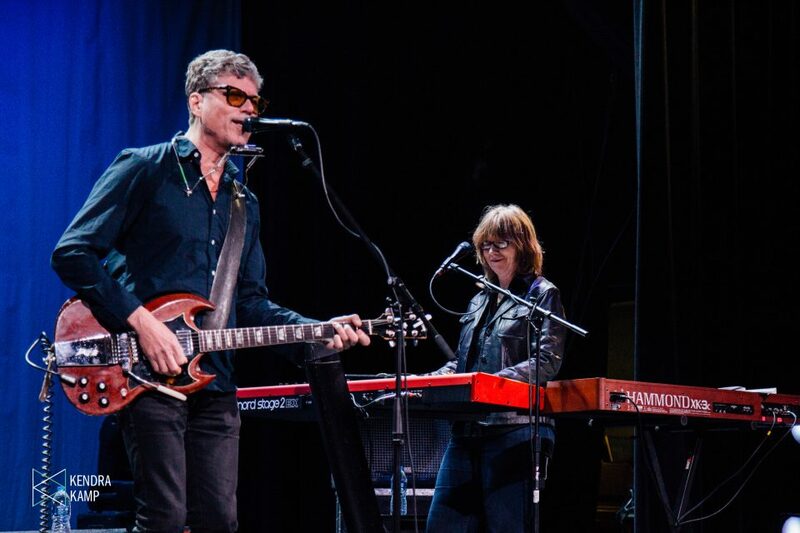 That may be, but on Friday night in Grand Rapids, The Jayhawks played as big as any American band of its generation.